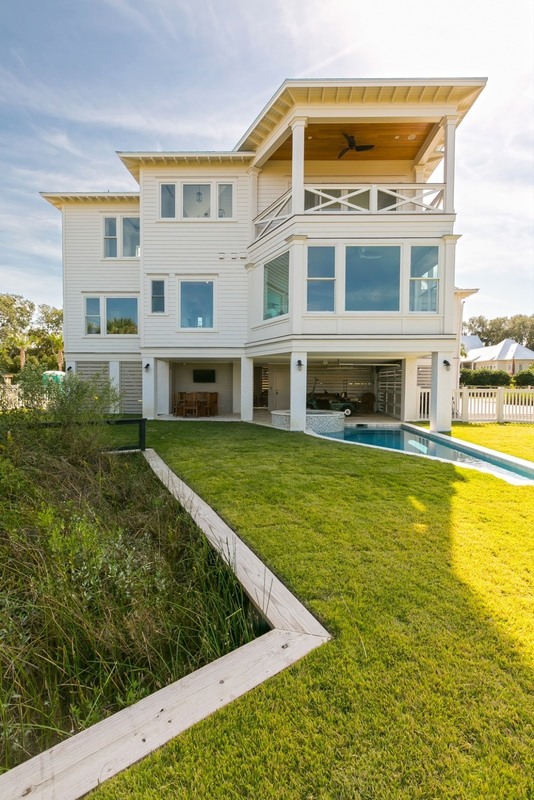 This first set of clients envisioned a pool beside their new home, overlooking the marshes. The lot was an unusual shape, with a ‘finger’ of land off one side. The clients came to me to maximize their enjoyment of this unique spot. It wasn’t a shoo-in. Although we of course had a site survey done, the town used an earlier survey to create the site-specific zoning bylaws, so there were discrepancies. In addition, the default regulations under this site-specific zoning for this lot indicated the pool the owners wanted would not be possible. The Zoning Board of Appeal (BZA) said, ‘You are right, we agree with you and you can use it.’ We did and that project won the ArCHdes™ 2017 Award, an international residential architecture award for design excellence.